Police are appealing for a vital witness to come forward after an “altercation” in Tadcaster. Between 7.15 and 7.45pm on Tuesday July 31, an incident took place on the High Street near the bus station. A spokesman for North Yorkshire Police said: “It was reported that two men had got out of a vehicle after a bottle was thrown towards it, and had a verbal altercation with a teenage boy, leading to him being assaulted. “A man is believed to have stopped his vehicle at the scene and confronted the two men. “Officers would like to speak to this witness, as he may be able to assist the investigation. 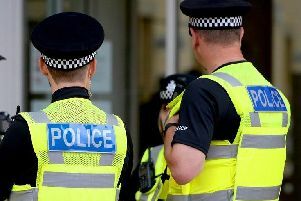 “Two men in their 30s have been arrested in connection with the incident, on suspicion of assault and a public order offence. Any witnesses to the incident, or anyone with information, is asked to contact North Yorkshire Police on 101 and select option 2. Please ask for Katie Swift, collar number 6437, and quote incident number 12180140722.